The silicon valley basks in the glory of Prestige Kew Gardens! 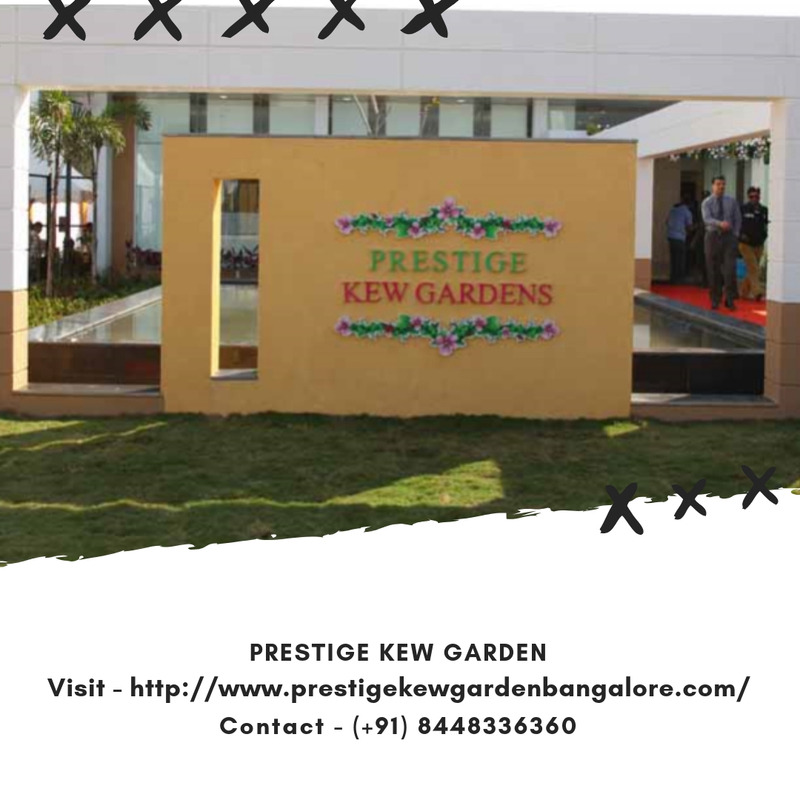 Prestige Kew Gardens is the brainchild of the illustrious Prestige Group. The under-construction property is set to be delivered by the year 2020. The property is built up with utmost care using the finest construction materials and techniques. Impressively located at Yemalur, in Bangalore, the property is easily accessible to MG Road, Outer Ring Road, and many more important passages. The place is centrally located and connects to all by rapid and suitable means of transports. It also has important places like super-specialty colleges, hospitals, schools, banks, et al. available nearby. Major IT hub, CBD and proposed metro station at Kundalahalli station. Mg Road is located 10 kilometers away and the international airport is located 45 kilometers away from the project. The marvelous development extends across 15.74 acres of enormous land area and will have various configurations like 1 BHK, 2 BHK, 2.5 BHK & 3 BHK residential apartments ranging from 615 sq. ft. to 1607 sq. ft. in an area. Prestige Kew Gardens location is just perfect. There are 979 units in all in the township, accommodated into 16 low-rise blocks having 4 floors each. The tiles used in the balconies are anti-skid, rooms have vitrified tiles, granite kitchen counter and many other luxuries for residents. 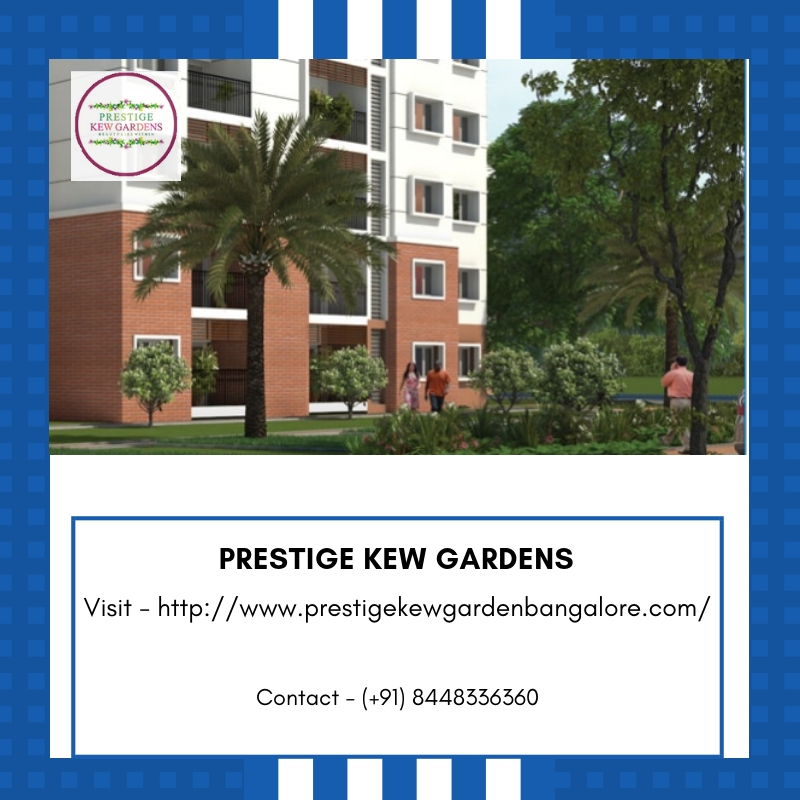 The overwhelming development Prestige Kew Gardens Bangalore is bestowed with an array of facilities that allow you to live a comfortable and joyful life. There will be well-demarcated play area for children, multipurpose hall, squash court, gym, mini theatre, meditation centre,clubhouse, swimming pool, sports facility, shopping centre, ample car parks, 24-hour power & water supply, peripheral CCTV coverage and professionally trained maintenance staff for the upkeep of the property and for the security of the residents. Prestige Kew Gardens prices simply reasonable and affordable. The list ranges from Rs 76.78 Lakhs -1.07 Crs*, supported by easy and possession linked payment plans. The buyers and investors have numerous variety to choose. There are many home loans also available from several banks. The sounds really lucrative so don’t miss it.